Following a successful launch in August 2018, Broadstairs & St Peters WI group has continued weekly training at Hartsdown Leisure Centre, Margate. With fun, friendship and fitness as its main aim the ladies have been developing new skills, teamwork and getting to grips with the rules of netball. 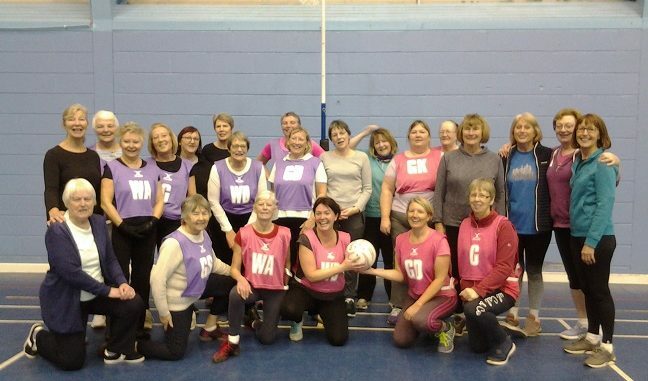 With the guidance and encouragement from coaches Janet Adkins and Lorna Richardson a regular group of 14 – 16 ladies ( all aged 60+) have trained hard for their first match. A team from Northbourne WI came along on Wednesday, February 6 for a friendly game. The teams were evenly matched -they were both fairly nervous playing their first competitive match! At half time the score was level but by the end of the third quarter Broadstairs had pulled ahead thanks to the excellent shooting of GA Lorna Richardson. Into the final quarter, with several team changes on both sides, Broadstairs kept their cool and finished with a 15 -10 win. Not a huge score but showed up the defending skills from both teams. Although walking netball is played at a slower pace it still brings out the competitive spirit. After the match, true to WI hospitality, the ladies enjoyed drinks and cake. Both teams are looking forward to a return fixture in the not too distant future. Thanks to Phill Harvey, England Netball Development Officer for his continued support. Getting a WIggle On is a partnership between England Netball and the Womens Institute. 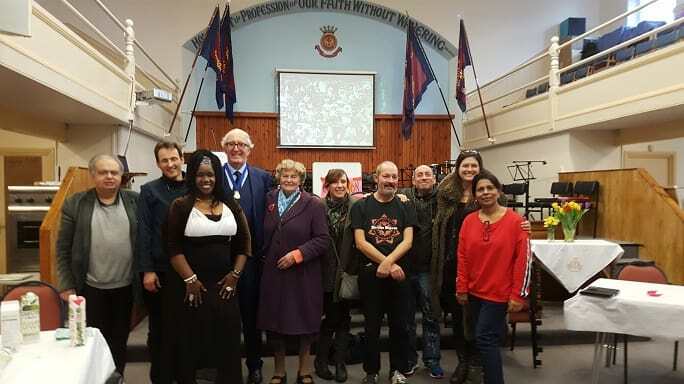 No One Eats Alone Day is on Friday, February 15 and to mark the date Raushan Ara of Ramsgate Tandoori and Carl Whitewood of Salvation Army are organising a community meal at the Salvation Army Hall in Ramsgate at 1pm. Social isolation is a growing and serious issue in our community for those without a family or a social network. Both young and old are affected by loneliness and it can have a negative impact on both physical and mental well being. 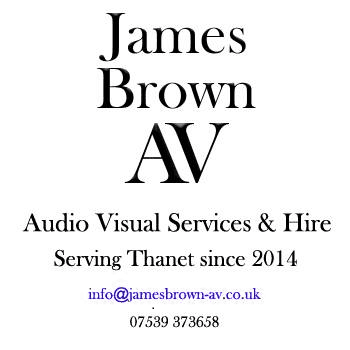 This is an opportunity for the community of Thanet to come together and enjoy good food and live music and entertainment. The menu will be: Basmati Pilau rice; chicken curry; mixed vegetable curry; onion bhaji; samosa; naan bread and gateau and ice cream. Whilst admission and the meal are free we would welcome any kind of donation for example (ingredients for the meal please contact Raushan). Christmas crackers/napkin and decorations are also welcomed. We also need fresh flowers and balloons. Raushan has run similar events over the years and they have always received great support from local businesses and the community. 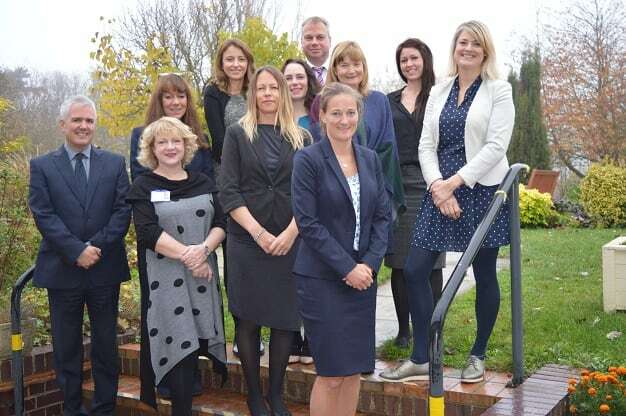 This February solicitor firms from across east Kent are kindly donating their time and expertise to write wills completely free of charge, in return for a donation to Pilgrims Hospices. All money kindly donated will directly support Pilgrims to help people facing a terminal diagnosis, and their families, to live well in every moment. Last year our Make a Will Month raised an incredible £21,500 for Pilgrims, enough to fund over five months of nursing care to our patients. Participating firms for 2019 are listed here www.pilgrimshospices.org/get-involved/donate/make-a-will-month/. 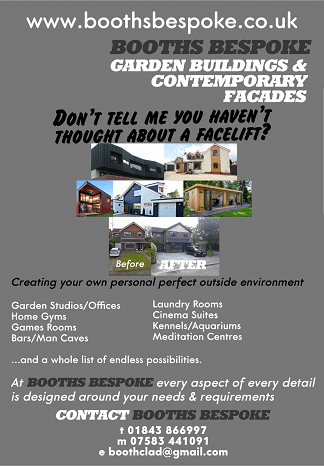 Appointments are limited and are filling up fast so book to avoid disappointment. There is no obligation to include Pilgrims in your will. If you choose to, however, you’ll be doing something inspirational. 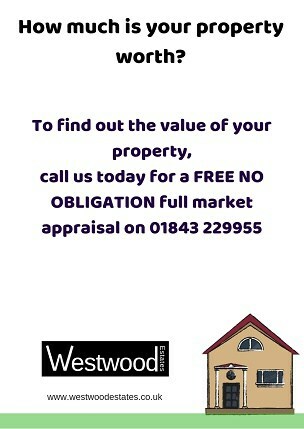 It will cost you nothing now, but will help to secure the future of our services for more than 2,300 people each year. Almost everyone in our local community knows someone who has, or could have, benefited from the excellent work of our specialist medical staff. For more information about how you can leave a gift to Pilgrims in your Will, please call Sara Scriven on 01227 782 066 or email sara.scriven@pilgrimshospices.org. The Rotary is inviting people to join the group for The Big Breakfast at Kearns Hall in Minnis Bay on Sunday, April 28. The event runs from 9am to 10.30am and a full English is £5. Prior to that the club will hold a table top sale, also at Kearns Hall, on March 9 from 9an until noon, stallholders entry at 8am. The event will raise money for local charities. 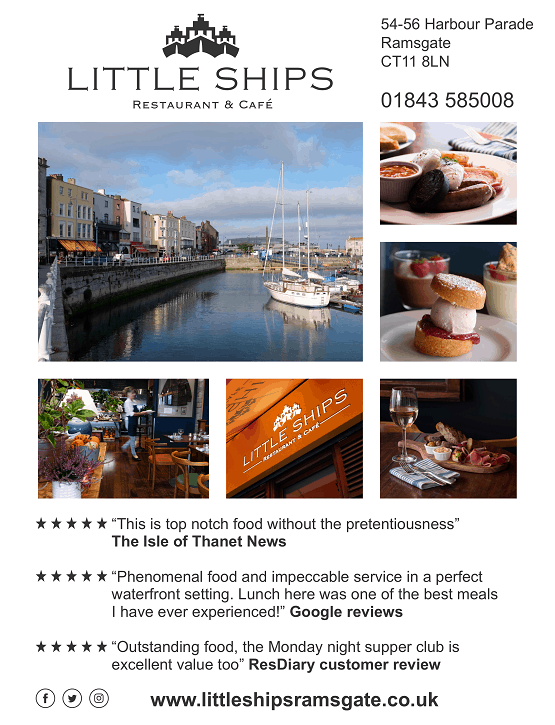 To book a table call Richard on 07955260598. Rock hunting is a huge craze in Thanet! 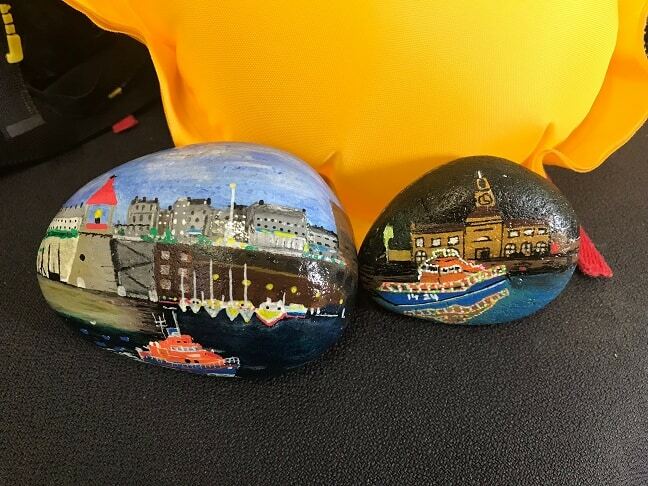 Enthusiasts of all ages and skills paint and varnish rocks and then leave them in various places around the Isle for the enjoyment of others. They can then be taken home to be enjoyed or rehidden for someone else to find. Photographs of peoples finds are posted on their Facebook page Thanet Rock Hunters which has over 8000 followers. This lovely hobby is not just confined to Thanet, it’s all over the UK. Just after Christmas Ramsgate RNLI station found their first rock left behind a post outside the station. The picture was so lovely that they decided to keep it, and dutifully posted a picture of their find on the Facebook site. The artist was identified as Anthony Thorne from his style and just this week a second rock was found placed in a boat outside the station again. This one was signed by Anthony and again was beautifully painted and once again after posting their find the station decided once more to keep it. Rock painting and hunting is a hobby that everyone can enjoy, it has little cost involved, ideas of what to use and how to preserve the painting are posted on their site and it brings great joy to all ages when found. More than 60 people turned up for the last meeting of the Thanet Over Fifties Forum (TOFFs), held at the Trinity Resource Centre in Margate, to hear about the support available to those living with dementia and their loved ones in Thanet. The first speaker of the day was Admiral Nurse Jade Garlick, a qualified mental health nurse for 12 years. 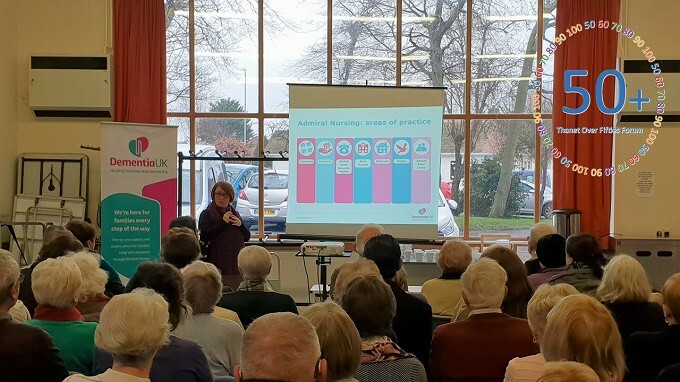 Ms Garlick spoke passionately about the work of Admiral Nurses, who are funded by the charity Dementia UK. It was surprising how few people had heard of Admiral Nurses, who began their journey providing support for family carers and those living with dementia in 1994, when the idea was conceived by the family of Joseph Levy CBE BEM. These specialist nurses are on hand throughout the trajectory of dementia, particularly during complex periods of transition for sufferers and their loved ones, and they also provide education, leadership, development and support to other colleagues and service providers within the healthcare sector. Jade said: “Dementia can be challenging and a difficult journey for families as well as the person with dementia. I always put the person with dementia at the heart of everything I do as I strongly believe that, if you can understand the family system, and how it may impact on the person with dementia it will help us to provide the right support. It is important to help the carer to feel equipped to support their loved one, as this enhances the quality of life for the person with dementia. And to get in touch with Jade directly for support, you can call her on 01843 267071. The second speaker was Niall McLaughlin, a senior lecturer in mental health nursing at Canterbury Christ Church University. Niall spoke about the startling links between hearing loss and the risk of developing dementia. He said: “A study by Professor Helene Amieva in France followed 3,777 participants aged over 65 for up to 25 years. Of these, 1,289 reported hearing problems and 2,290 reported no trouble. The good news is that the same study also confirmed steps could be taken to reduce the risk of dementia for those with hearing loss and one of the simplest ways of doing so was to use hearing aids. 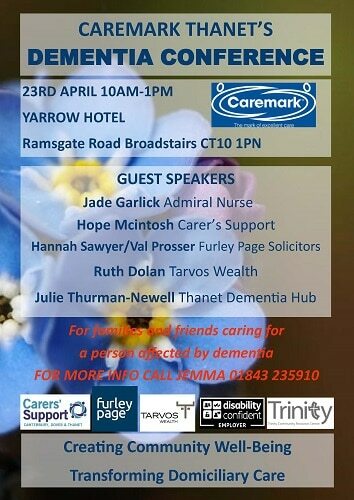 TOFFs coordinator Pauline Petitt said: “We were very pleased that so many people were able to attend this meeting and access information on a subject which affects so many individuals and families in Thanet. Many of the excellent dementia support organisations were also present at the meeting, offering a wealth of information and support for those living with dementia and their families. 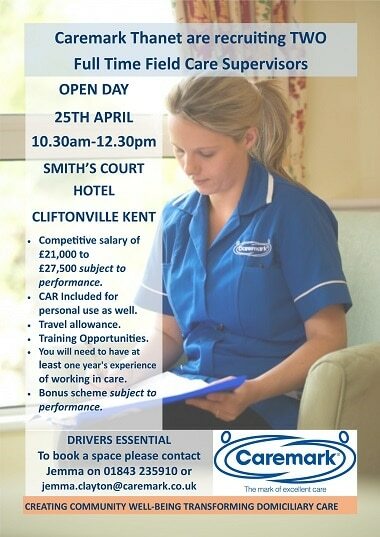 For more information call Pauline Petitt at Kent Coast Volunteering, Thanet Over Fifties Forum, on 01843 609337 or email pauline.petitt@kcv.org.uk. The next TOFFs meeting is on March 13 at 10.30am at St Peters Memorial Hall. Paul Gibbons of Kent Coast Volunteering will be talking on how volunteers can make a really big difference to communities, followed by Susan Elliot talking on the St Peter’s Village Tours, and the fantastic contribution made by volunteers. 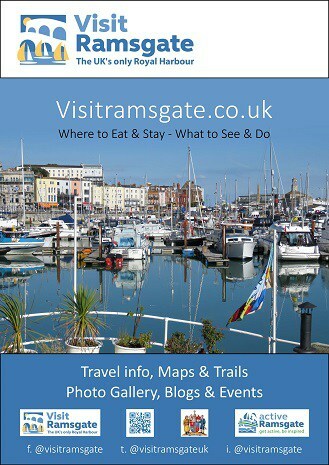 Ramsgate Buddhist Group meeting at Small Boat Owners Association 20 Guildford Lawn Ramsgate, on Saturday, March 2, 12pm to 2pm, and first Saturday of the month thereafter. Dharma discussion and meditation. All welcome. 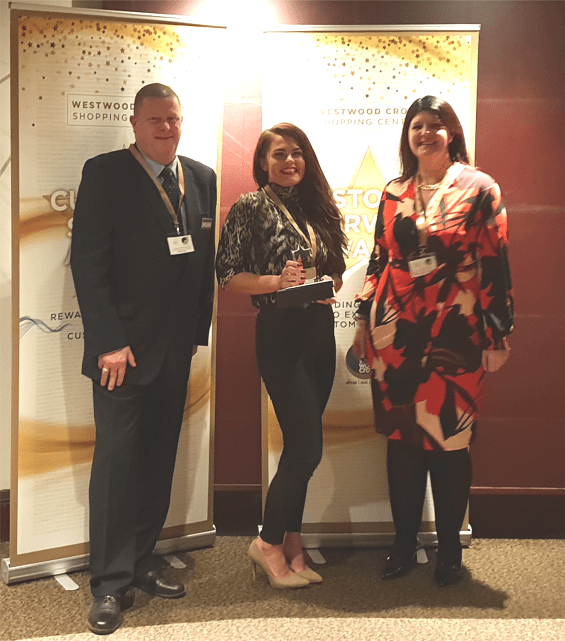 Westwood Cross hosted its Customer Service Awards at Grosvenor Casino, celebrating staff who have gone above and beyond, offering the very best in customer service. Award categories recognised all aspects of customer experience at Westwood Cross including Best Dressed Christmas Window Display, Cleaning Operative of the Year, Contribution to Charity and the coveted Best Customer Service Award. 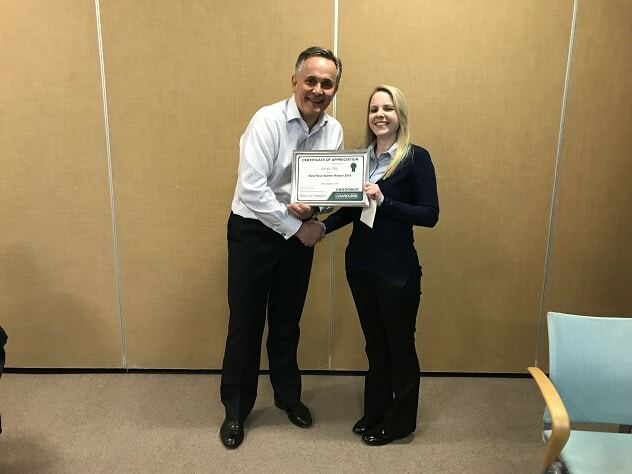 Hayley Lumpkin, team leader at Outfit, was the winner of overall Best Customer Service Award – she received several nominations for being ‘Someone who always goes above and beyond what is expected’. The nomination stood out in particular as a customer had written to Outfit’s Head Office to let them know ‘What a great colleague you have in Hayley from your Outfit Westwood Cross store’. 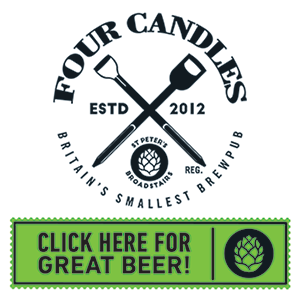 ‘She is courteous, friendly and very helpful and she delivered outstanding customer service’. Hayley was awarded with a £100 Westwood Cross gift card and crystal trophy. 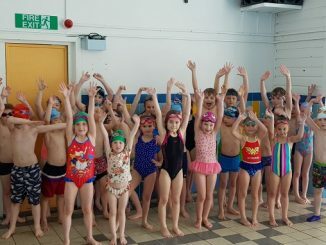 The awards were co-presented by Francesca Donovan, centre manager and Janis Buckley, Chair of Cheerful Sparrows, a Westwood Cross charity of the year. 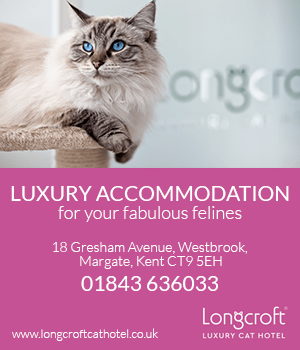 As well as sharing the Cheerful Sparrows’ story, Janis was delighted to be able to personally thank Westwood Cross for collecting bedding for disadvantaged children in Thanet last Christmas. Francesca said: “People are at the very heart of the centre and we feel it’s important to recognise the fantastic job staff at our shopping centre do on a daily basis, ensuring our customers have a truly wonderful experience. “Working in retail and leisure can be very demanding with the long hours, shift changes and constantly replenishing stock. It takes motivated, talented individuals to juggle these various requirements and to connect with customers. Tonight, is a chance to celebrate these valuable individuals and reward them for their consistently good customer service”. WW, the new Weight Watchers, will be hosting an open house on February 10-16, offering residents the chance to experience a WW Wellness workshop for free. Thanet Wellness coaches will be showcasing how residents can build healthy habits for life. Residents will have the opportunity to hear about the programme, participate in prize draws and try WW products and snacks. The WW programme, which has just been named the Best Diet for weight loss nine years in a row, builds on the highly successful and effective SmartPoints system, making it the most flexible and livable programme ever. It encourages you to enjoy food with freedom, find what moves you physically, and gives you the skills to shift your mindset so you can focus on what really matters on your weight loss journey – taking care of yourself and living your life the way you want to. To inspire healthy habits, WW announced the launch of WellnessWins, a new program that rewards members for small, everyday behaviours that are proven to lead to healthier habits. Members earn “Wins” for tracking meals, activity and weight, as well as for attending WW Wellness Workshops. Wins can be redeemed for exclusive products, services and experiences designed to inspire members on their wellness journeys. Mindset is an essential part of overall wellness, and WW has formed a partnership with Headspace, a global leader in meditation and mindfulness, to help develop customised content for WW members. WW has launched a healthy habits focus for members, which will make the program open to those who want to build healthy habits without focusing on weight loss. Royal British Legion Industries is calling on the people of Kent to be one of 100 cyclists to ride alongside injured veterans through the battlefields of the First World War in an emotive celebration of the charity’s 2019 centenary. 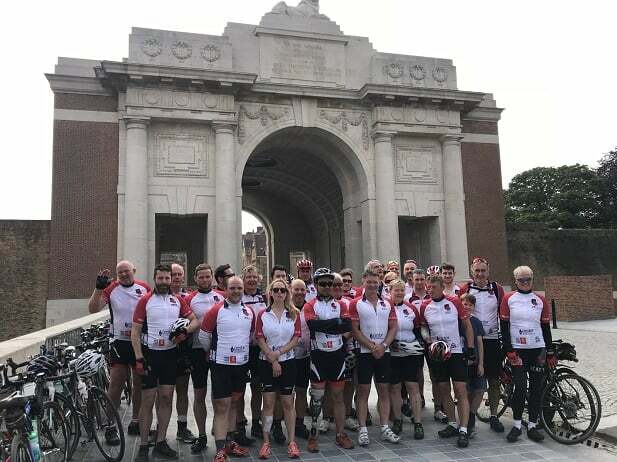 Taking place between July 12-14, the RBLI centenary ride will set off from the charity’s village in Aylesford and finish at Belgium’s Menin Gate war memorial in Ypres in time for the iconic Last Post, played as part of a solemn service of remembrance. RBLI was established in 1919 to support wounded servicemen on their return from the battlefields of the Somme, Ypres and Passchendaele. Today, it continues to work with former military personnel and people with disabilities by providing accommodation, care, support, training and employment. This year’s event comes after 30 people from across the county undertook the same journey in 2018 raising more than £25,000 for ex-servicemen and women through RBLI’s services. Steve Sherry CMG OBE, Chief Executive of RBLI, said: “Hundreds of thousands made the journey from Britain through mainland Europe during the Great War. “Many did not return, and for those who did with physical and mental disabilities, the daily battles continued. Every penny raised will go directly to helping former military personnel RBLI works with and will help build RBLI’s new Centenary Village at Aylesford. The riders will also be supporting RBLI’s employment support programme LifeWorks, or supporting its social enterprise, Britain’s Bravest Manufacturing Company, where 70% of staff are either veterans or individuals who have a physical or hidden disability. People can take part by raising a minimum of £750, or donating the same amount, which covers the cost of two nights’ bed and breakfast accommodation, one evening meal in a hotel or restaurant in Ypres, two lunches, the ferry crossing from Dover to Calais, and an accompanying medic. North Thanet`s MP, Sir Roger Gale, will be sworn in as a member of Her Majesty`s Privy Council at Buckingham Palace on Wednesday, February 13. As part of the POW! 2019 Festival, 8th-17th March, there will be ‘pop-up’ libraries in locations across Thanet. We are looking for donations and loans of books that are by, for and about women to help stock the libraries. If you have any books you are willing to offer please bring them to Pie Factory Margate, 5 Broad Street, on Saturday, February 16, between 11am and 3pm. The libraries will be ‘self service’ which means that books may not always be returned, please do not donate books you cannot bear to part with! If you would like your books returned after March 17, please put you name inside them and we will arrange a day and location where books can be collected. Any books not collected after that date will be given to the OASIS Domestic Abuse Charity Shop. We’d like to thank our friends at Margate Festival for making this possible during their launch event at Pie Factory Margate – find out more about the Margate Festival Launch and Open Call here. Margate Festival begins in September 2019. A top award has been presented to a Ramsgate woman at the annual national conference of Chandlers Building Suppliers. The Best New Starter award and £500 was presented to Georgia Tidey who works at the builders merchants’ Thanet branch. Georgia joined the branch, in Ocivan Way, just over a year ago to work as a sales assistant. She was nominated for her exceptional ‘can-do’ attitude and excellent customer service. 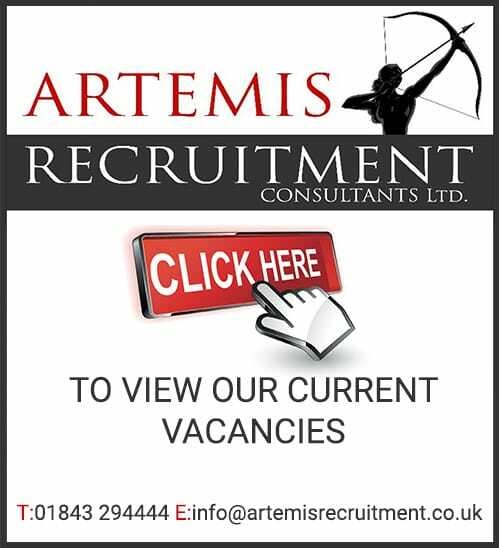 Introduced in 2014, the award for Best New Starter and a separate award for Outstanding Contribution have developed into a highlight for staff and managers, with growing anticipation for the winners reveal. Next year, an award for Driver of the Year will also be introduced. With over 200 staff spanning its network of 13 branches from the South East to the West Midlands, nominations are submitted by managers throughout the Chandlers Building Supplies network and are judged by the managing director, finance director and HR manager. A reunion is being held for those who worked at Hornby Hobbies in the 70s-90s. 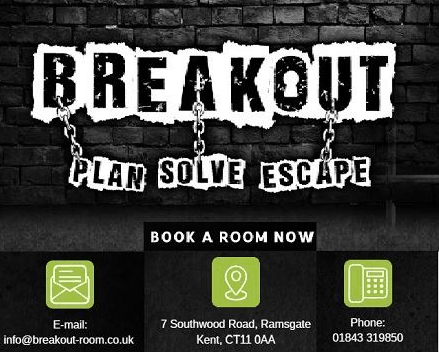 The event takes place on March 2 at the London Tavern in Margate from 7pm-11pm. There will be music from DJ Crippsy.